Diabetes is a major class of disease that has been affecting millions of people, regardless of whether it has been diagnosed by a medical professional. Diabetes is a disease that affects how the body turns food into energy—people with the disease either have trouble producing insulin (the hormone that provides useful sugar in the bloodstream for cells), or have trouble using it properly. According to the Centers for Disease Control, or the CDC, 30.3 million people in the United States are believed to have diabetes, with nearly a quarter of those people (7.2 million) having undiagnosed cases. Many of these undiagnosed cases are from individuals who do not see their primary medical physician routinely. The CDC statistic (from 2017) highlights the severity of this disease in the country, and the need for the best care for diabetics. Many people are able to manage diabetes with certain lifestyle changes, for example, getting more exercise and sustaining a healthy diet. Through these lifestyle changes, many diabetic patients are able to get their disease under control. Even if these patients do not need insulin or other medications, their feet can become an issue, and taking proper care of them is important. Diabetes, by nature, has poor blood sugar control, as a result leaving many diabetics with poor circulation in their feet. Many diabetics also have nerve damage or other medical issues that while often unrelated to diabetes can have a worsening impact on their feet. Diabetes does not allow wounds to heal properly, leading to infections if these wounds are not treated. Infectious feet are often candidates for amputation, which no diabetic patient should ever have to deal with. Medical experts recommend diabetic patients who suffer from wounds of any kind on their feet to consult their primary care doctor immediately. With PPO insurance, the opportunity also lies in going directly to a podiatrist like the Corona Foot and Ankle Group located in Corona, CA. Some solutions to this problem exist in consumer products that are available for diabetic patients. There is a wide variety of specialized footwear now available for diabetes patients. These special shoes, with deeper toe boxes, wider widths, and special insoles are designed to prevent fungal growth by repelling moisture. Medical experts recommend that diabetic patients have professionals perform a custom fitting of these shoes, to best minimize their chances of having feet issues down the line. These special shoes for diabetic patients are covered by most insurance providers. Experts recommend shopping for these shoes in the afternoon, since this is when the feet tend to be larger, in case patients have swelling. Podiatrists like Dr. Arti C. Amin, or doctors who specialize in feet, can help diabetic patients by assessing their feet, and making accommodations for factors such as swelling, wounds, and nerve damage. Podiatrists urge their diabetic patients to never go barefoot and avoid high heeled shoes. These recommendations are specific to diabetic patients because of their condition and how their blood circulation affects their choices when it comes to their feet. Podiatrists also recommend their diabetic patients to wash their feet regularly, check for wounds daily, shake out their shoes before putting them on (removing any small objects such as pebbles and woodchips), and taking off their socks and shoes during every doctor’s visit. Podiatrists recommend diabetic patients to take good care of their nails; many insurance providers also provide nail care in case there are any diabetes-related issues with nails. 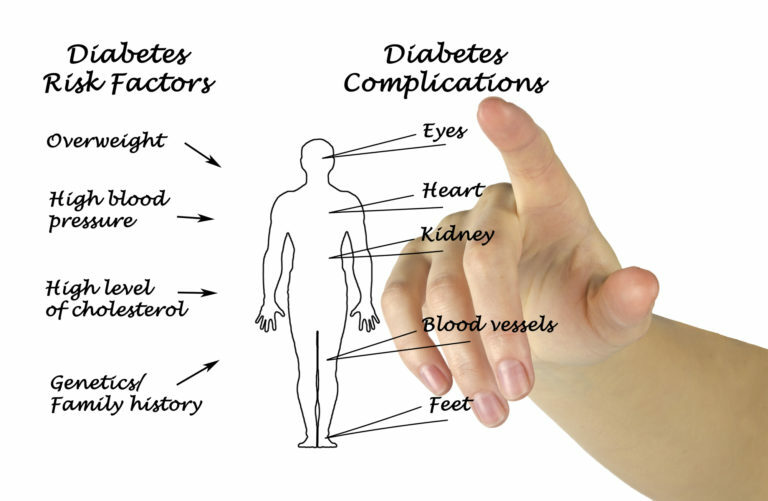 The epidemic that is diabetes can touch all aspects of one’s life, ranging from their diet to foot care. It is an important disease, and all Americans should take steps to help prevent it. Some of the symptoms for it are increased thirst, fatigue, and blurred vision. These are symptoms that affect the daily lives of diabetics, yet many of them learn to live with it and often don’t realize that they have a chronic condition. The Corona Foot and Ankle Group is a state of the art medical clinic an excellent caring medical team. For more information or to make an appointment contact us HERE.